The trail of destruction wreaked by Hurricane Matthew in Haiti is seen clearly from the air. It ravaged the country’s poor and densely populated southern coast, leaving nearly 900 people dead and thousands homeless. In the town of Jeremie urgent aid has begun to arrive, and the full-scale of its impact became apparent. 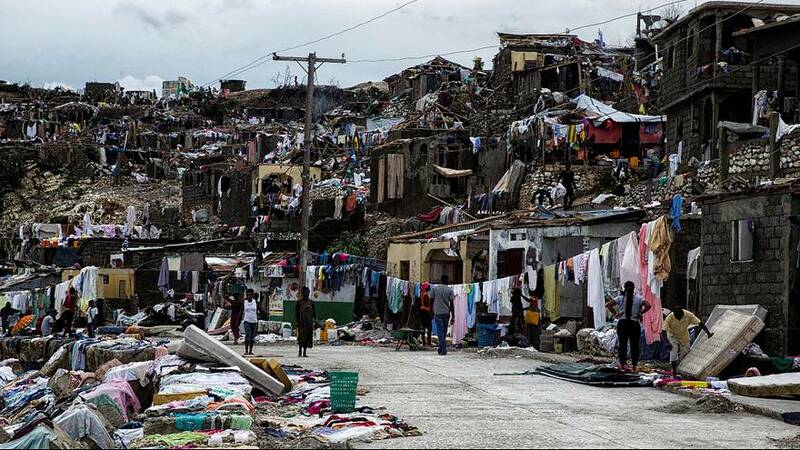 “The closer we got to Jeremie and the further from Port-au-Prince it was just complete devastation. Anything that was not concrete was flattened, the palm trees were bent over in half or completely ripped of their leaves. There were several little fishing villages that were just looked desolate,” explained Drew Garrison, a Haiti based missionary who flew supplies in for Mission of Hope for Haiti. As one of the world’s poorest countries, Haiti was still struggling to recover from the 2010 earthquake, and aid agencies warn of a further humanitarian disaster with people in urgent need of food, water and medicine. With roads flooded and phone networks down, emergency supplies are slowly reaching those in need. The UN says it may be days before the full scale of the devastation is known.